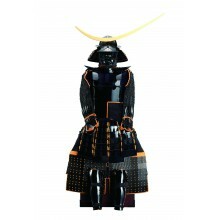 One of the most iconic warriors in history, the Samurai were feared and revered in equal measure. 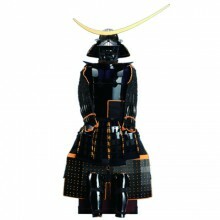 Now you can make your very own scale model of a Samurai, kitted out in full armor and with their deadly sword, using a military model Samurai soldier kit from Model space. These kits come with incredible attention to detail and provide an insight into why these warriors were so feared in their native Japan. Samurai models are part of our larger army models range, with classic military vehicles, including planes, warships and tanks also available to build. It’s a great way of learning about military history and gaining a deeper understanding of the face of battle. Your Samurai model kit will let you build this famous warrior piece by piece, dressing him in his ceremonial armor which is beautifully replicated. A Samurai model is the crowning glory of any modeling collection so why not take a look at our other vessel's and vehicles - including ship models - to complete your selection?